It’s kind of surprising to see tunes on the UK Cactus label to go for big money but a couple that do are Hold Up Your Head and Ram Goat And Malish Water, both Rupie Edwards productions by Errol Carter. The latter reached the princely sum of Â£105 ($165) for an EX copy last week which is top dollar for sure. It is a lovely tune though. 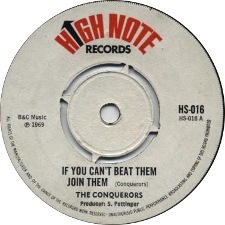 If You Can’t Beat Them You Join Them by the Conquerors has been steadily rising in price over the last couple of years, either on the Jamaican pre or on the UK High Note issue. A Sonia Pottinger production from 1969, this is very big with skinheads these days if the sales patter on a UK issue that sold this week is to be believed, either way this seems to have been the highest price a copy has reached to date with the luckyseller pocketing Â£140 ($220). For a tune described as VG with a warp that seems alot (though admittedly the sound sample plays well enough) but as copies of this are consistently selling for high prices at the moment it’s perhaps not that surprising. Talking of skinheads, the tunes with skinhead in the title that were recorded to cash in on the cult circa 1970 continue to obtain prices that appear to have little or no relevence to the quality of the actual tunes. 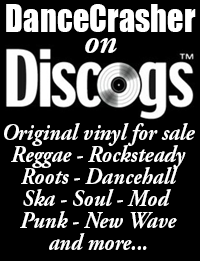 The seller of the Conquerors tune above (Musical-scorcher) just flogged a copy of one of the better such efforts, Moonhop In London/Skinhead Moondust by the Hot Rod All Stars on Torpedo for Â£247.55 ($389) and another seller sold an EX copy of Laurel Aitken’s very average Skinhead Train for Â£107 ($169). 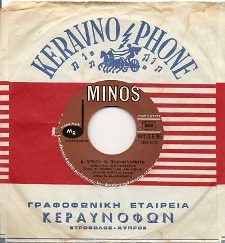 Another release that made big money whilst touting it’s skinhead credentials was of all things a Greek release. For some unknown reason Bob Andy’s superb You Don’t Know was released on a Greek label in the early 70’s as the label has mainly Greek text most people would’t even guess what the contents was and therefore this release has attained almost mythical status. You Don’t Know is a great tune and always sells for a decent price either on the UK voiced version released on Green Door or the Jamaican one on a Harry J pre. The astute seller of this Greek release has mentioned the Bob Andy tune as a bit of an afterthought and concentrated more on the other side, a Hippy Boys tune apparently called Broken Dreams, a “skinhead holy grail” or so he says. Holy Grail or not some one wanted this badly as it sold for a staggering Â£311 ($484). One tune that was a bit bargain was a copy of the faboulous Midnight Confession by Phyllis Dillion on UK Treasure Isle. Copies of this have sold for Â£30 ($45) or more in the past but a copy described as mint sold for Â£8.48 ($13.25). The seller, Smileyi, probably won’t be too dissapointed though as he sold a heap of Phyllis Dillon tunes this week and a few made very good prices. My object of desire this week was a lovely label copy of The Upsetters – 8 For 8/The Inspirations – Know What I Mean on Upsetter. 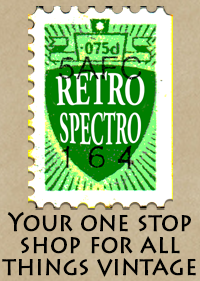 Blanks of this are relatively easy to find and cheap but label copies are a different matter. That said this latest copy, sold by midnightdread and described as VG+, went for Â£80 ($125) which was still surprisingly high.